Marked with the name “Fred C. Jollas” across top. 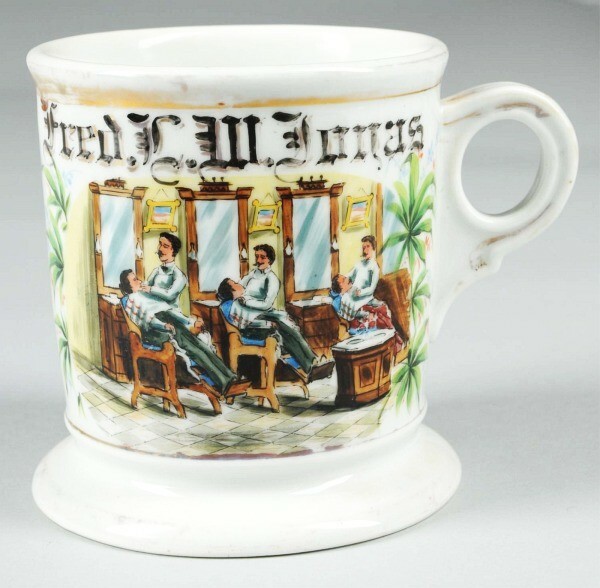 Mug with image of three different barbers working at the same time. Great detail and color. 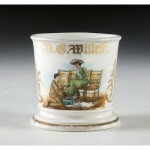 Some of the gold wash is worn across the top rim. Size: 3 – 3/4″ T.